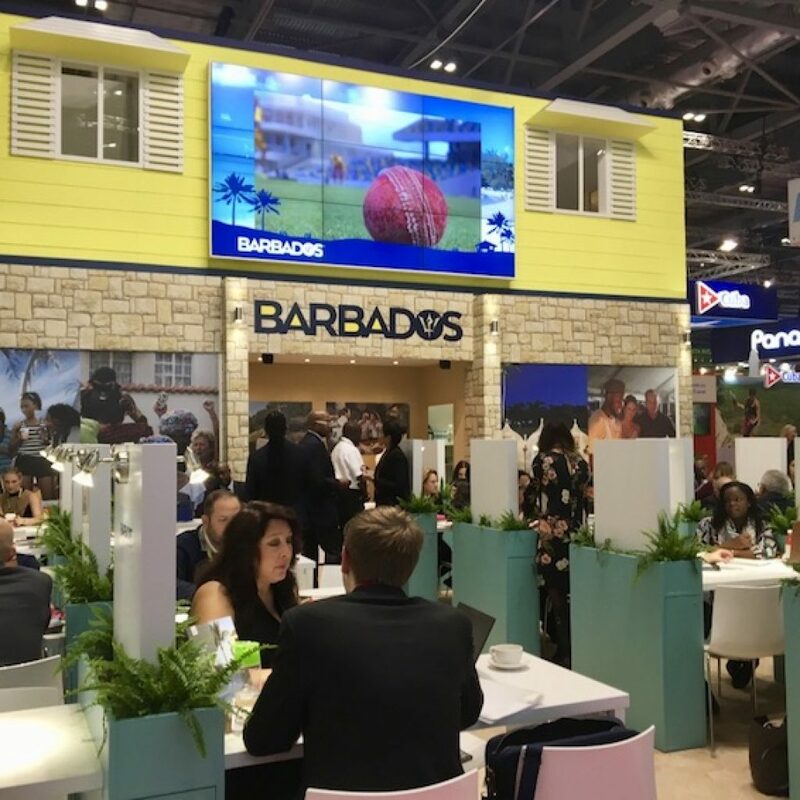 75% Of Caribbean Destinations Are Open For Tourism Business - Caribbean & Co. Yes, some Caribbean destinations were impacted by Hurricane Irma and Hurricane Maria however 75% of the Caribbean region was not affected. 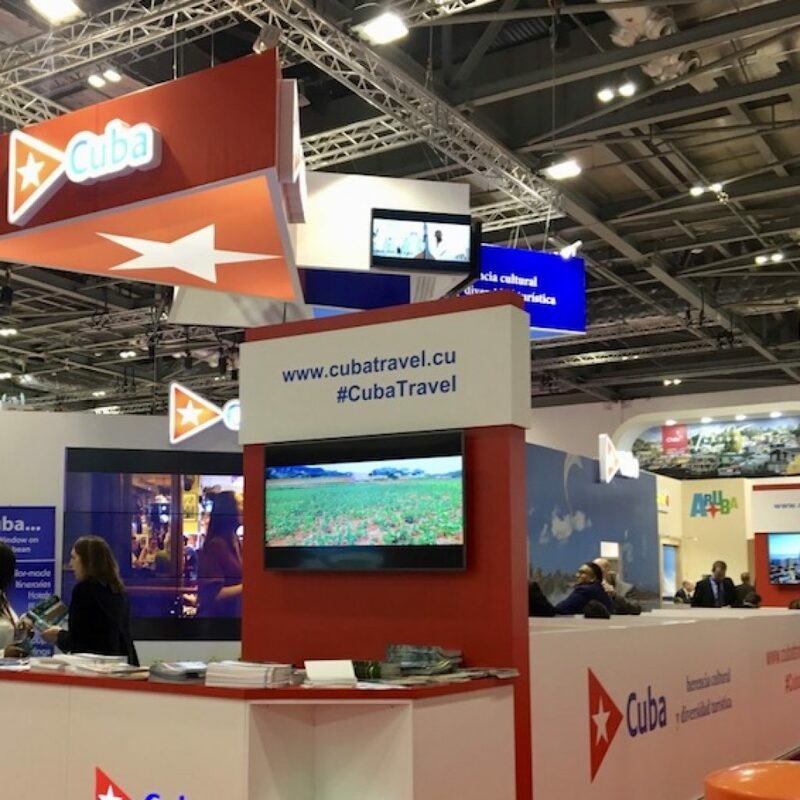 Unaffected Caribbean destinations include Aruba, Cuba, Barbados, Guadeloupe, and Haiti that have achieved double-digit growth year to date. 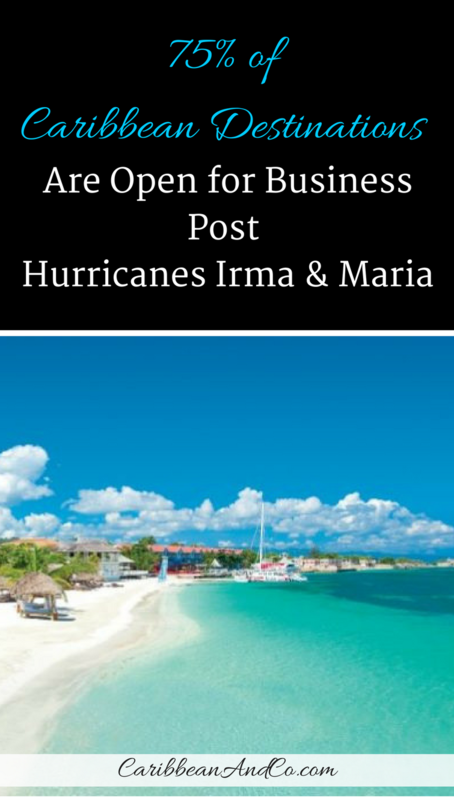 The current status of all Caribbean destinations is detailed at Caribbean Travel Update. 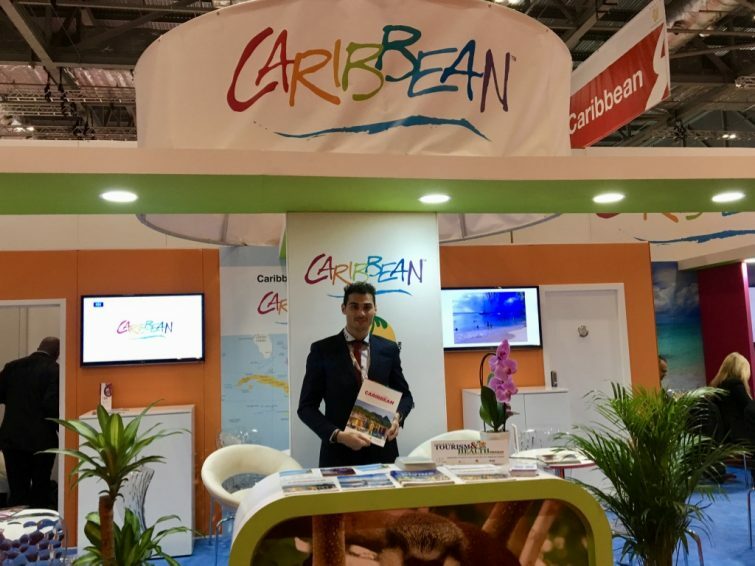 The Caribbean Tourism Organization and a few of the Caribbean destinations at World Travel Market 2017. 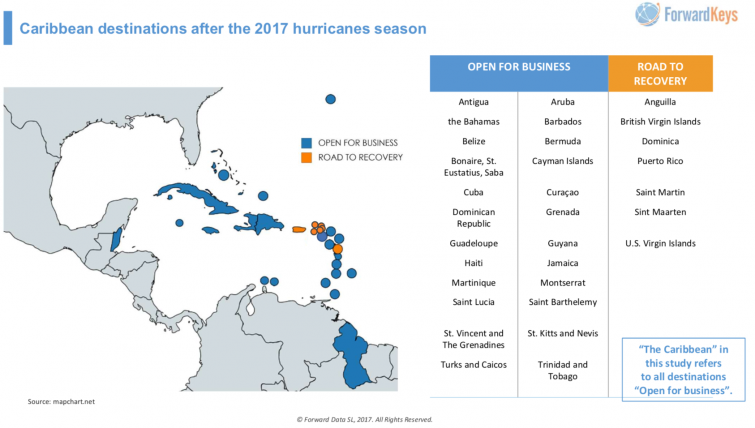 Affected Caribbean destinations including Anguilla, the British Virgin Islands, and Dominica are on the path to recovery and will be back stronger. To help achieve, all destinations and key stakeholders across the Caribbean region are working together to support the various fundraising and recovery initiatives. Whether its the Caribbean Tourism Organization Fund or the Caribbean Tourism Recovery Fund set up by the Caribbean Hotel & Tourism Association or by individual hoteliers like Sandals Resorts via Sandals Foundation. These funds, as well as others set up by different destinations, have all contributed to the clean-up and now recovery. There has also been incredible assistance from various cruise and airline companies transporting people and supplies to affected destinations. Graphic showing status of Caribbean destinations after the 2017 hurricane season. Credit: © ForwardKeys. Tourism is a significant source of revenue for the Caribbean region and with 75% of the Caribbean destination not affected; it is crucial to continue supporting by visiting for vacation. Whether it is to relax on one of the beautiful beaches, partake in a festival or to engage in an outdoor activity. Outdoor and adventure activities include zip lining in St Kitts, hiking the nature trails in Montserrat or taking a mineral bath in one of the springs in Jamaica. It could also be watching turtles hatch in Tobago or swimming with stingrays in the Cayman Islands or snorkeling to view the underwater sculptures in Grenada. The infrastructure is in place, and there is a range of activities, tourist attractions, festivals and tourism professionals whether at the airport, hotels, restaurants, beaches, etc. are all waiting to welcome and ensure you have a good time. All of the Caribbean events at World Travel Market including the demonstration of traditional bele dances by Visit Tobago (see below) are a continuation of efforts started last month at the Caribbean State of Tourism Industry Conference in Grenada. 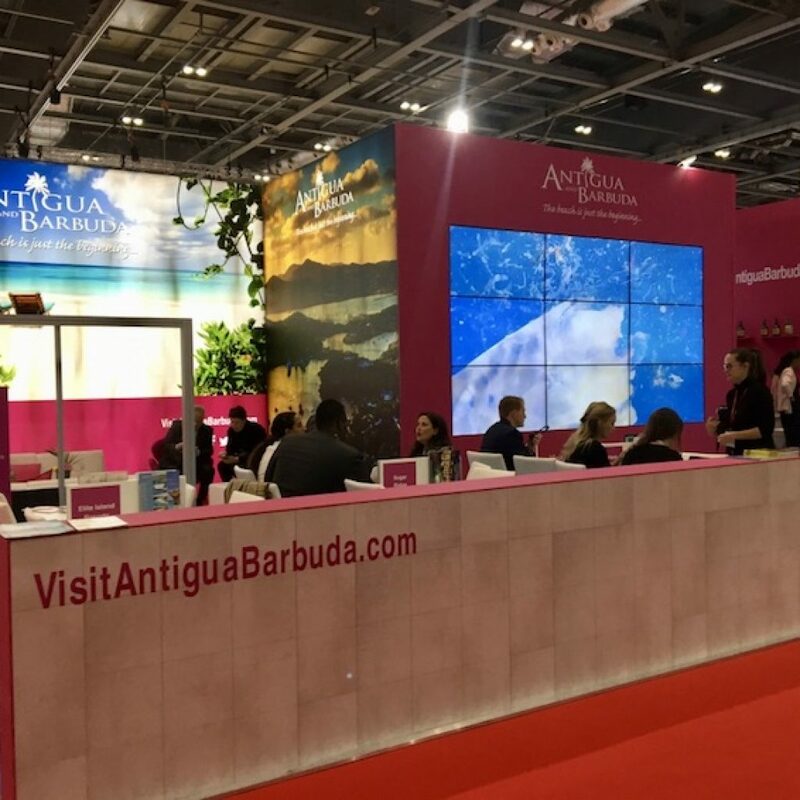 According to Hugh Riley, the Caribbean Tourism Organization secretary general, the next step is to launch a major marketing campaign reaffirming that the Caribbean region is open for business and showcasing the island and all the activities and events on offer.